A few days ago Australian anti-fascist Jock Palfreeman was assaulted in Sofia Central Prison in Bulgaria (he says it was not “too badly”) but yesterday July 6 the same guard assaulted another prisoner, an elderly man, and some of that man’s compatriots came to his assistance. These seven were then set upon by 40 guards, who brutally beat them. Jock, in his role of secretary of the Bulgarian Prisoners Association, phoned a number of lawyers to help defend those assaulted. 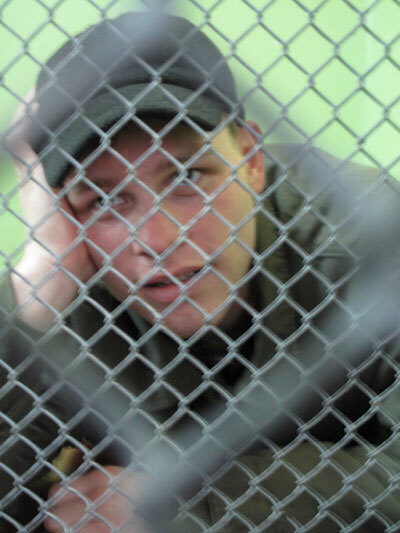 Now Jock has been threatened by the same prison guard has threatened him with another beating. 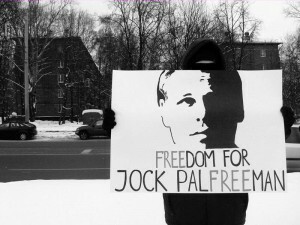 Prisoners Association but also because of the various days of action for Jock being organised around the globe to highlight his case. You can contact the Bulgarian prison authorities details below or organise a protest at your nearest Bulgarian embassy or consulate. For those of you who can make it, 15th March, Bulgarian Embassy, 11am-2pm, London. For these reasons and many more we are trying to revitalise the solidarity movement with my case and all the connotations that my case involves ie. racismn, violent neo-nazi gangs and their mates who defend them in the corrupt police, corrupt courts and the corrupt prisons system. The neo-nazis wouldn’t be able to attack people on the streets if it wasn;t for the protection offered them by the police and courts. It’s telling when hundereds of the state’s agents are needed to stop me, a lone individual. however, against their hundreds I have mortality, I am right and they are in the wrong and this is why it takes so many of them. I am putting out a call to action to all those opposed to racism both on the street and in it’s institutionalized form of fascism. 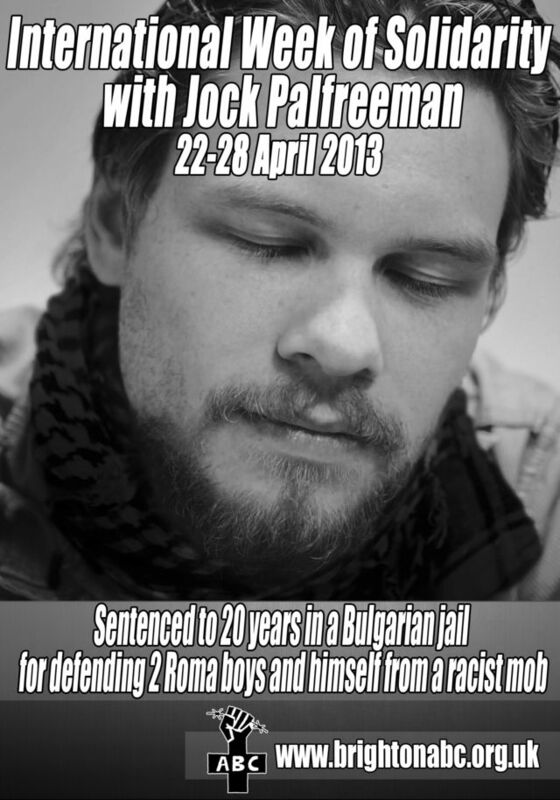 This March 2012 organise yourselves to the Bulgarian embassies or consuls in your cities. Let the Bulgarian state know that the matter is yet settled and that you don’t recognise the court’s decision to incarcerate me and protect the racists. I am also trying to transfer to Australia so as be closer to my family and to escape the persecution against me by the prisons administration at the behest of those connected with my case, yet the Head Prosecutor-Boris Velchev and his lap dog prosecutor Krassimira Velcheva have alread tried to coerce me into retracting my transfer request. I refused to retract my request and as such the Prosecutor’s Office of Bulgaria is refusing to answer my rquests based on Bulgarian laws to transfer to Australia.